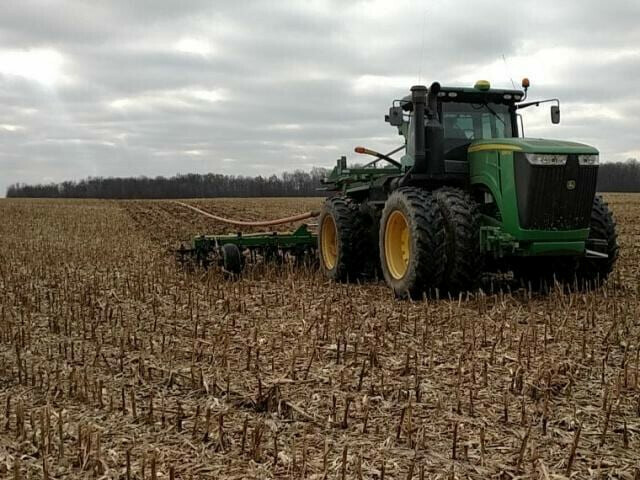 Last December’s early onset of winter weather combined with heavy snow cover may mean some manure storages are nearing capacity and soon, the spring rain will begin to fall. Rain has a way of making spring field work difficult, slowing the progress of all fieldwork including emptying in-ground manure storages. The more rain, the more freeboard disappears in the storage and the less opportunity to spread manure without getting stuck. What to do? There are no simple solutions, but thinking through your specific situation, and monitoring it daily can help prevent, or at least minimize, environmental risks and potential regulatory issues. Outside manure storages should be designed with freeboard to deal with extreme spring weather. The Generally Accepted Agricultural Management Practices (GAAMPs) for manure state that all manure storage structures shall maintain a minimum freeboard of twelve inches (six inches for fabricated structures) plus the additional storage volume necessary to contain the precipitation and runoff from a 25-year, 24-hour storm event. Freeboard means the distance from the level of manure to the top of the storage structure. This “storm event” amount is an average of an additional 4 inches in Michigan. You can check your county’s precipitation. That means concrete structures need to have at least 10 inches of freeboard and earthen storages need 16 inches of freeboard at all times to be in compliance with GAAMPs and Right-To-Farm. For all storage structures, especially earthen, cautiously walk the perimeter of the storage daily (if necessary) based on your rainfall amounts, weather forecasts and storage situation. Recognize that berms for earthen storages, just like fields, may be water saturated and weakened. Assess how solid the sides are, looking for low points or areas with lower structural integrity. The late spring and excessive rains in some parts of Michigan may cause the freeboard to be consumed by rain and runoff. As rain fills up this freeboard, it may put stress on the integrity of the structure. 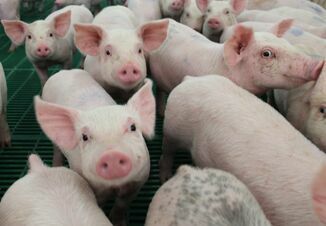 If the stress results in a break or overflow of the storage, thousands of gallons could quickly exit the manure storage. A manure storage that captures excess clean water runoff from around the farmstead, in addition to direct rainfall, obviously fills up even faster. Diverting clean water from reaching the manure storage would help now and in future rainy weather. Roof runoff is a cost sharable practice through EQIP. Contact your local NRCS office for more information. Each farm location has unique risks of manure reaching surface waters. Asses your risk, consider what the worst case scenario might be and think through a plan to address that situation. Knowing the down slope direction from the storage will help you think through what sensitive areas are along that path and help you know how critical the risks could be. Know how to get earth moving equipment on site immediately and plan where potential berms would need to be built to divert the flow from reaching surface water, neighboring property or road ways. Even when there are not imminent risks to surface waters, have plans in place to contain, control and stop manure from moving overland. If your farm doesn’t have a written plan, you can learn how to do one with MSU Extension bulletin E-2575s, Emergency Planning for the Farm: Livestock Operations. Do everything you can to reduce liquid manure storage before they are dangerously close to overflowing. Even relieving a few inches off the top will buy some time and reduce stress on the storage system. Options may include transferring manure to another system, hauling to the driest field you have or assessing if you can get on any alfalfa field without getting stuck. Don’t make a bad situation worse. 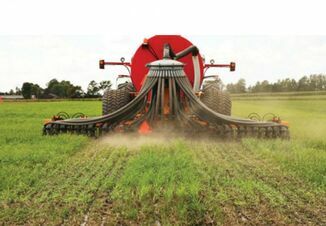 When land applied, be sure that the manure is not at risk of running off to surface waters. 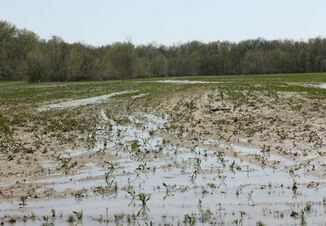 Tile drained fields provide another risk during wet times. Be cautious by taking appropriate steps to insure applied manure does not reach surface inlets or tile drains. For permitted farms, allowing manure to exceed the freeboard limit is a permit violation, even if a release does not occur. Contact your regional Michigan Department of Environmental Quality Staff and file a report. They will work with you to seek an emergency solution.